Our executive leadership team consists of pioneers in commercial real estate, real estate investment and finance. Individually, each member embodies our founding principles of integrity, expertise, and innovation. Together, the team is responsible for guiding our companies’ vision while developing investment programs that strive to provide value for investors. 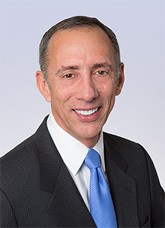 Mitchell A. Sabshon is President and Chief Executive Officer of Inland Real Estate Investment Corporation (“Inland Investments”), one of the nation’s largest sponsors of real estate investment trusts, securitized real estate like-kind exchange programs, and other private real estate securities products. He is responsible for leading the execution of Inland Investments’ long-term business strategy and capitalizing on opportunities for new product development and growth. Mr. Sabshon is also Chief Executive Officer and President of Inland Real Estate Income Trust, Inc., a publicly registered, non-listed multi-tenant retail REIT, and Chief Executive Officer of InPoint Commercial Real Estate Income, Inc., a privately-held, non-listed mortgage REIT. Prior to joining Inland, Mr. Sabshon served as Executive Vice President and Chief Operating Officer of Cole Real Estate Investments. As Chief Operating Officer, Mr. Sabshon oversaw the company’s finance, property management, asset management and leasing operations. Prior to joining Cole, Mr. Sabshon held several senior executive positions at leading financial services firms. He spent almost 10 years at Goldman, Sachs & Co. in various leadership positions including President and CEO of Goldman Sachs Commercial Mortgage Capital. He also served as a Senior Vice President in Lehman Brothers’ real estate investment banking group. Prior to joining Lehman Brothers, Mr. Sabshon was an attorney in the corporate and real estate structured finance practice groups at Skadden, Arps, Slate, Meagher and Flom in New York. Mr. Sabshon is the past Chairman Emeritus of the Institute for Portfolio Alternatives. He is also a member of the National Association of Corporate Directors, International Council of Shopping Centers, the Urban Land Institute, and a member of the Board of Trustees of the American Friends of Hebrew University - Midwest Region. Mr. Sabshon is a member of the New York State Bar. He also holds a real estate broker license in New York. He received his undergraduate degree from George Washington University and his law degree at Hofstra University School of Law. 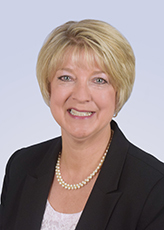 Catherine L. Lynch is Chief Financial Officer, Secretary and a Director of Inland Real Estate Investment Corporation. In this role Ms. Lynch oversees finances for Inland Investments and its subsidiaries. She also serves as Chief Financial Officer of Inland Securities Corporation, Inland Real Estate Income Trust, Inc. and Inland Residential Properties Trust, Inc.
Ms. Lynch joined Inland in 1989 and was named a Director of The Inland Group in June 2012. Throughout her tenure she has served as a director and/or officer of a number of entities sponsored by Inland Investments or otherwise affiliated with Inland. 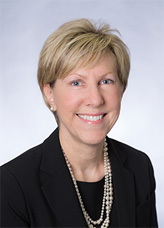 Prior to joining Inland, Ms. Lynch worked for KPMG Peat Marwick LLP. She is a certified public accountant and a member of the American Institute of Certified Public Accountants and the Illinois CPA Society. She is registered with the Financial Industry Regulatory Authority, Inc. (FINRA) as a financial operations principal. Ms. Lynch holds a bachelor degree in accounting from Illinois State University. Sandra L. Perion is Senior Vice President of Inland Real Estate Investment Corporation and Vice President of Inland Securities Corporation. She is responsible for the oversight of investment operations and investor services to ensure timely and accurate processing of investments as well as secure accessibility of account data provided to stockholders and financial advisors. She also serves as the operations liaison to the transfer agent for programs sponsored and managed by IREIC, and evaluates processing of investments, procedures, and programming needs to implement high quality service, regulatory compliance and accurate record keeping for the stockholders of programs sponsored and managed by IREIC. Prior to joining Inland in 1994, Ms. Perion worked in the banking and insurance industry. She holds Series 7, 24, 63, 79 and 99 licenses with FINRA as well as her real estate broker license in Illinois. Ms. Perion is a member of the IPA and the Real Estate Investment Securities Association (REISA). Roderick S. Curtis is Senior Vice President, Investment Funds, for Inland Real Estate Investment Corporation (Inland Investments). Mr. Curtis is responsible for the investment product line and the development of new products that will build and differentiate the Inland brand. Mr. Curtis also serves as Vice President of Inland Residential Properties Trust, Inc. and its business manager; President of Inland InPoint Advisors, LLC; Vice President and Secretary of InPoint Commercial Real Estate Inc.; and President of Inland Venture Partners, a subsidiary of Inland Investments formed in December 2018. He joined Inland Investments in 2011. Prior to joining Inland Investments, Mr. Curtis held positions with Pacific Office Properties/Priority Capital Group, AmREIT and DWS Scudder Investments. He graduated from the University of Wisconsin with a Bachelor of Science degree in Economics. He is also a member of the IPA. 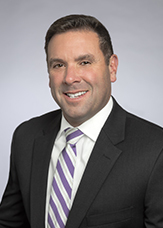 Michael T. Ezzell is President and Chief Executive Officer of Inland Securities Corporation (Inland Securities), the broker dealer for Inland Real Estate Investment Corporation (Inland Investments) and Inland Private Capital Corporation (IPCC). Mr. Ezzell is responsible for Inland Securities' corporate strategy, sales, broker dealer relationships, securities operations, compliance, and distribution channels. He also works closely with new product development, due diligence and information technology. Prior to joining Inland Securities in 2015, Mr. Ezzell held positions with Cole Capital in leadership and executive roles for over five years. Most recently, he served as Executive Vice President of American Realty Capital Properties, Inc. (ARCP) and CEO and President of Cole Capital. He was responsible for all aspects of the management of the nontraded REIT sponsor’s distribution and investment management business, including sales, product development, broker dealer relationship management, securities operations, and capital markets. Prior to the merger of Cole Real Estate Investments (Cole) with ACRP in February 2014, Mr. Ezzell served as Senior Vice President of Product and Business Development for Cole, securing selling agreements with broker dealers for existing and new product offerings, opening new distribution channels and overseeing due diligence and new product development. Prior to joining Cole, Mr. Ezzell served as Director of Investment Research at AIG Advisor Group, where he was responsible for managing investment research for a network of broker dealers serving independent financial advisors. In that role, he managed the research and due diligence for all packaged investment products including mutual funds, variable annuities, alternative investments and third-party money managers. During his career, he also held positions with J.P. Carey Asset Management. Mr. Ezzell received his Bachelor of Arts degree with double majors in Economics and Political Science from Stetson University. He also holds Series 7, 24 and 63 securities licenses with the Financial Industry Regulatory Authority (FINRA). Colin G. Cosgrove joined Inland Securities Corporation (Inland Securities) as Executive Vice President – National Sales Manager in July 2016. 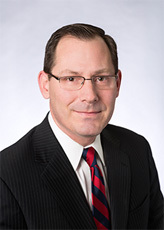 Prior to joining Inland Securities, Mr. Cosgrove served as Executive Vice President – Head of Sales Strategy for Griffin Capital’s Eagle Capital Markets Group. In this position, he was responsible for the organization and launch of Eagle Capital Markets and the development of sales efficiency systems. 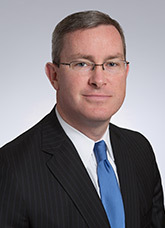 Prior to his position at Griffin Capital, he served as Senior Vice President – Sales Operations and Strategy for Cole Real Estate Investments (Cole) for 10 years, where he was responsible for Cole’s non-traded REIT and 1031 distribution business, including sales and operations, advisor marketing and distribution and reporting models. Prior to Cole, Mr. Cosgrove held positions with Edward Jones, E*TRADE Financial Corporation and the Charles Schwab Corporation. Mr. Cosgrove received his bachelor of arts degree in Political Science from the University of Iowa. He also holds Financial Industry Regulatory Authority, Inc. (FINRA) Series 7, 24 and 63 securities licenses. Philip J. Graham, Jr. is the Executive Vice President of Strategic Relations for Inland Securities Corporation (“Inland Securities”), the broker dealer for Inland Real Estate Investment Corporation (“Inland Investments”) and Inland Private Capital Corporation. Mr. Graham is responsible for promoting Inland Securities and the company’s investment solutions by maintaining, growing and deepening strategic relations throughout the financial services industry. He oversees the Inland Securities Broker Dealer Relations team of six employees and is also responsible for leading and maintaining the growth of Inland Securities’ non-listed real estate investment trust (“REIT”) selling group and industry relationships. Mr. Graham brings nearly 30 years of experience to his position with Inland Securities. Prior to joining Inland Securities in January 2016, Mr. Graham served as the Senior Vice President and Director of National Accounts for Griffin Capital, where he was responsible for the strategic planning and selling agreement process for multiple products and product types. 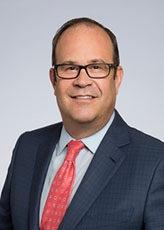 Prior to Griffin Capital, he was the Senior Vice President and Director of National Accounts within the Independent Broker-Dealer channel for Cole Real Estate Investments (“Cole”). At Cole, he led the national accounts function within the independent broker dealer channel, managed strategic business planning and measurement processes and played a key role in the listing of two REITs. During his career, he also held positions with Behringer Harvard, Evergreen Investments, the Boston Stock Exchange and Massachusetts Financial Services. Mr. Graham received his Bachelor of Science degree in Business Administration with a concentration in Sales and Marketing from Northeastern University in Boston. He holds Series 6, 7, 63 and 65 securities licenses and is a Series 26 Registered Principal with the Financial Industry Regulatory Authority (FINRA).